How does the structure at phase interfaces changes during reactions? 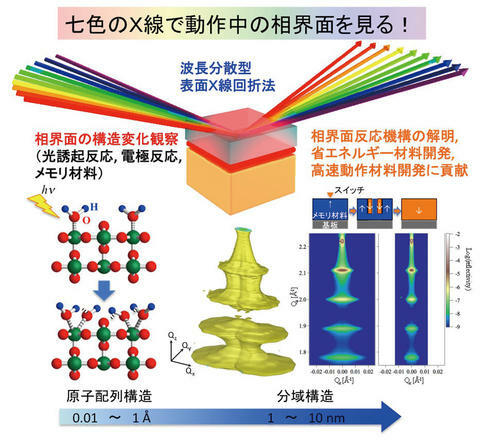 I will answer the fundamental question by developing a high-speed surface X-ray diffractometory whick can measure the dynamical structural changes at interfaces on milti-length scale (angstrom to nanometers). By using the new technique, I will elucidate the key phenomena for highly-effieicent energy utilization and feedback the information to designing a new high-performance phase interface.